Waupun had the 2019 Mr. Basketball in Marcus Domask, but Martin Luther had a pair of aces – one named Ace – in its drive for a state championship in its first state tourney appearance. 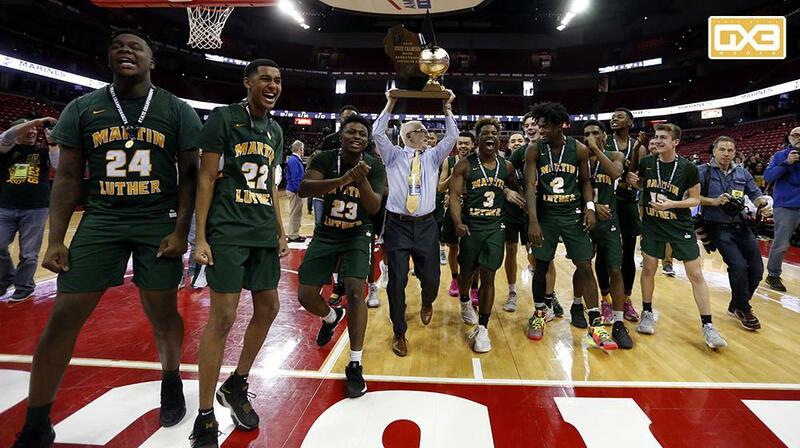 Ace Evans and Trequan Carrington each played every second of Saturday’s Division 3 title game at the Kohl Center, combining for 39 points and plenty of defensive pressure in the Spartans’ 58-49 win over the Warriors. The Spartans (25-3) held Domask to 5-of-15 shooting, including 1-of-8 on three-point tries. Waupun (26-2) managed just 3 three-pointers on 14 attempts and was also just 8-of-17 at the free throw line. The season included a Dec. 18 nonconference matchup between the teams that Martin Luther won, 79-64. Waupun never led on Saturday, either, although a second-half run tied the game three times in the final eight minutes. Evans’ basket one minute into the second half put the Spartans up 32-23. Waupun, however, picked up the tempo and urgency and battled its way back by attacking the basket. Those tough twos were the only option early because of Martin Luther’s defense, which had the ability to overplay while still scrambling quickly enough to cover the back door moves. The final tie came at 48 with just two minutes left. Evans, however, scored eight of his team’s final 10 points to build Martin Luther’s final margin. He finished with 20 points while Carrington added 19. Reece Homan led Waupun with 16 points, while Marcus Domask had 15 and Trevor VandeZande 14. Neither Carrington or Evans has made a commitment to play college ball next year. Wollersheim said they will sort out the options now that the season is finished. For now, they simply want to savor the Spartans’ first state title.